Weight 257 g Without a doubt, the weight is on the heavy side. But, that’s why it’s so sturdy with the potential to last a lifetime. Dimensions 125 x 125 x 55 mm Slightly bulky but this results in stability making it easy and safe to use. Output 2800 W Standard output. With more, you’d burn you pasta anyway. 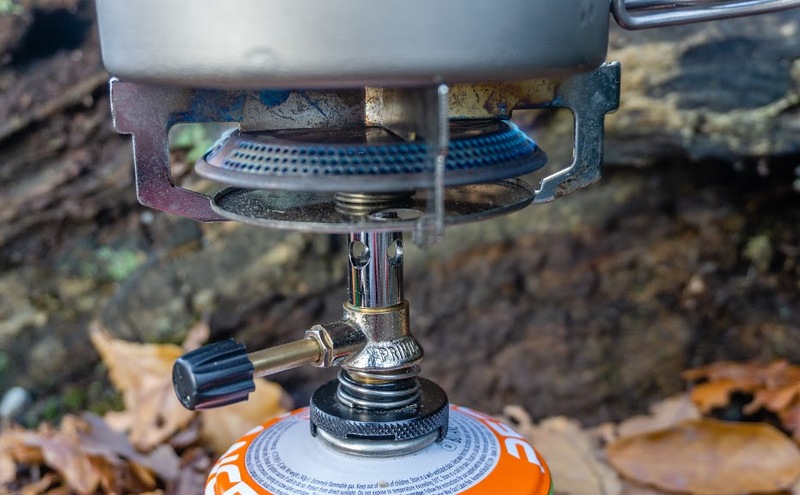 The Primus Mimer Stove Duo is a classic stove that you can buy in most outdoor retail stores as it’s a stove that can reasonably satisfy most hikers. It comes in two pieces: the down valve piece that you attach to your gas canister, and an upper burner head with X-Grid like platform that you put your pot on. The two pieces screw together and then attach to the gas. Among a few other short trips, I used this stove for about a week while walking the Scottish West Highland Way in late autumn. It performed well, though there were a few things that were a bit annoying. So let’s get into it. I have to admit that it took me a moment to figure out how the stove actually works. The valve piece slides onto the gas canister, you push the metal part down and mount it on. This process takes a bit of practice at first but after a few days of using it I found it fast and easy enough to use. The stove connects to most liquefied petroleum gas canisters with screw tops (the kind of canisters you can find all over Europe, New Zealand and North America). Primus recommend using Primus LP canisters, but MSR also recommends using their gas canisters and Microsoft Windows recommends you use Internet Explorer. Uh huh. When I first saw the stove, it looked a bit bulky. It comes in a cardboard box which is about 3 times as big as our MacPac mini stove that I use most of the time. But bulkiness is the price you pay for stability. At least you know with this stove that your pot isn’t going to over balance if you breath in the wrong direction. I found that the best way to store the stove is in the cardboard box that it comes in. To store it there, you always have to dismantle the stove back into 2 pieces after cooking. Again, a bit annoying at first but not a big deal a few hot dinners later. Do you always have to dismount the stove? Of course not, that’s completely up to you. But when the stove is together, the shape is quite awkward to put it into your backpack . The corners of the X-Grid are really sharp and you don’t want it to slice your sleeping bag in half while you’re hiking. Primus claims that the “X-Grid pot support acts as a built-in windshield”. That was not really my experience to be honest. It surely helps in a slight breeze but in the Scottish Highlands light breezes doesn’t exist. The stove performed really well when I managed to completely shield the flames. When there was just a little bit of wind, even as gentle as a sheep fart, it’d easily blow the flames out and I’d have to reignite the stove with a lighter. When it comes to simmering, the stove is a great performer (but again, only if you manage to stop the wind completely). 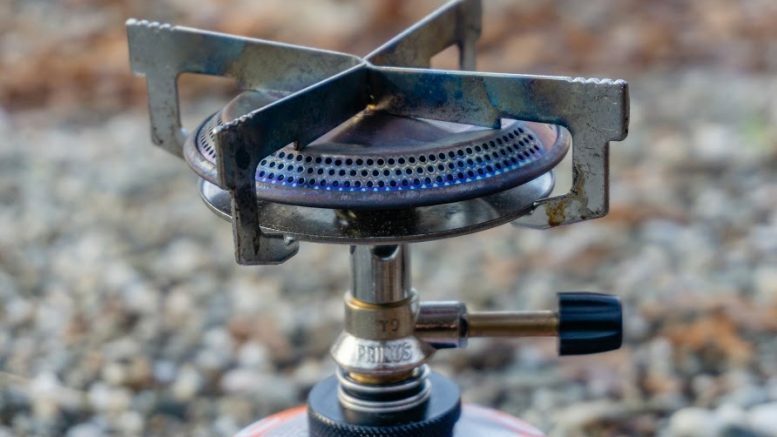 Some small backpacking stoves are not made for simmering but the Primus Mimer Stove Duo is really great for that. With its big pot support it’s well suited to bigger pots and some serious cooking. My favorite question. Well, it depends. I’d definitely recommend the stove to beginner hikers and those who’d use it on a shortish trips. It’s a great stove for universal use or as a stove for your road trip where carrying more grams don’t matter. I don’t find it suitable for thru hikers or long trips where grams matters. Any ultralight hikers would be rolling their eyes seeing the stove weight. A bit bulky and heavy but a reliable and sturdy beast. Not suitable for ultralight hikers but great for those who prefer comfort cooking and don’t mind to carry a few extra grams. The kind of a stove that can last a lifetime. 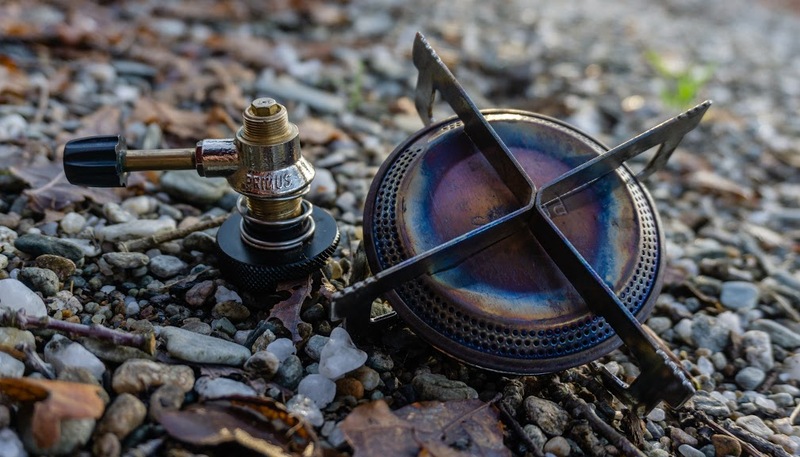 Be the first to comment on "Gear Review: Primus Mimer Stove Duo (Classic Trail Stove)"